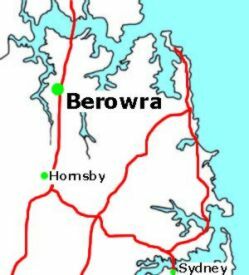 The Berowra Community Home Page and Directory | Where is Berowra? 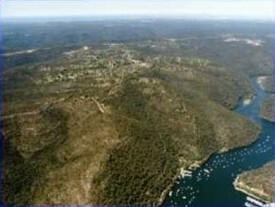 Berowra nestles among the rolling hills of the Hawkesbury Basin, 40 kms north of Sydney. Surrounded by the magnificent Ku-Ring-Gai Chase National Park, Berowra Valley Nature Reserve, Muogamurra Nature Reserve and the famous Berowra Waters, Berowra is an island in a sea of natural beauty. Located on the main Sydney to North Coast route, Berowra provides a convenient stop-over for the traveller.Easy access to the F3 freeway makes Berowra an ideal place to break your journey before the long haul north or before you enter the hustle and bustle of suburban Sydney.